Tyson Fury's events in Dublin and Cork have been cancelled, with reports of safety concerns after threatening graffiti was painted around the DCU campus on Monday night. The graffiti is understood to have prompted concerns among the event's organisers and the decision was made to call off the shows next week. The Helix released a brief statement on Tuesday, which marks three years since the infamous Regency Hotel attack. 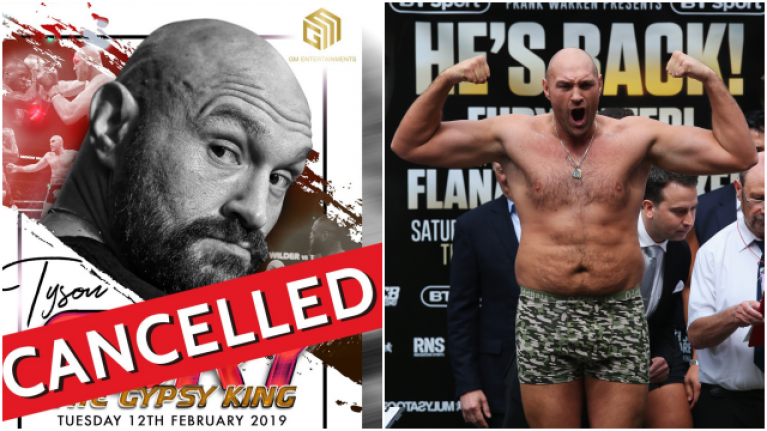 The statement read: "Due to unforeseen circumstances An Evening with Tyson Fury on Wednesday the 13th February at The Helix has been cancelled. "Tickets purchased using a credit or debit card will be refunded in full. "Cash refunds will be done by phone and The Helix Box Office will be in touch." SportsJOE reached out to the Helix and they confirmed that they had referred the minor criminal damage to An Garda Siochana. Cork Opera House followed suit, citing "unforeseen circumstances" in their announcement but would not offer any further comment when SportsJOE reached out. Last week, MTK Global announced that they had ended their media ban on outlets in the Republic of Ireland following a year-long media boycott which stemmed from their anger about how MTK fighters were portrayed in Irish publications. 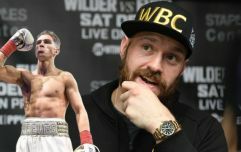 It emerged on Monday that Fury, one of the most high-profile MTK fighters, was no longer on social media.